Peter Andrew Andersen was born in the hamlet of Sandved, Denmark in 1833. In 1871, Peter, his wife Bodil, and their seven children immigrated to the United States with the intentions of resettling in Kansas with relatives. Unfortunately, two of the children, Maren and Katherine, came down with scarlet fever. Amidst their travels, the family stopped in a little Iowa town in search of aid which happened to be Story City, Iowa. Medical services were scarce and Maren and Katherine died. The two young daughters were buried in the Story City cemetery in 1871, where they still rest today. 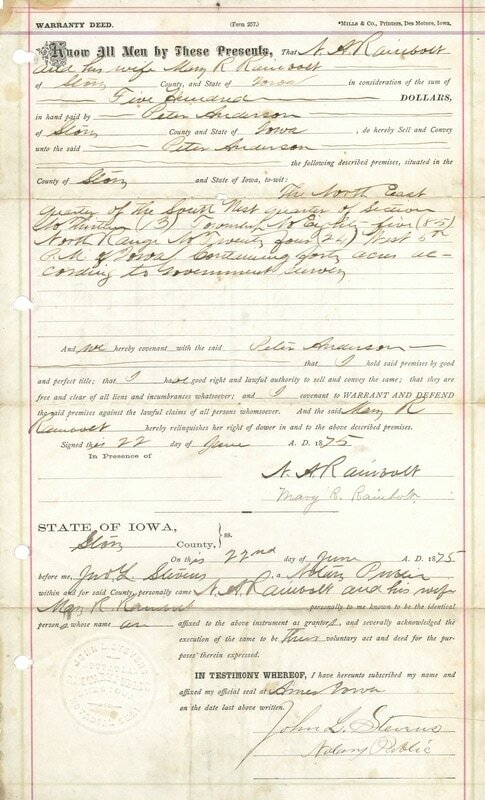 The Andersen family did not continue their journey to Kansas, but instead, remained in Story County. 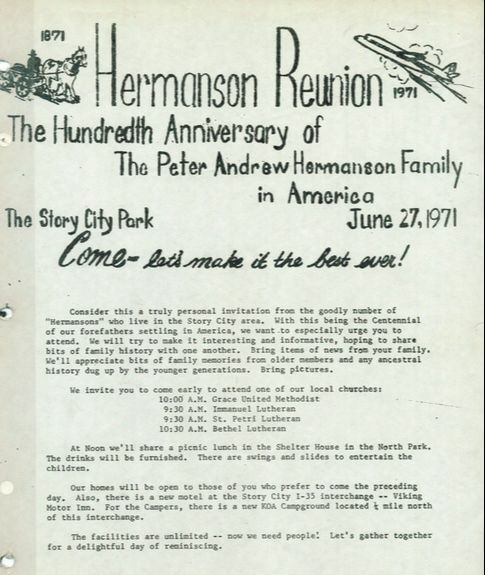 Upon arrival, Peter changed his family name from 'Andersen' to 'Hermanson' because there were already so many Andersens in Story City. Peter Andersen in Story City, IA. 1914. 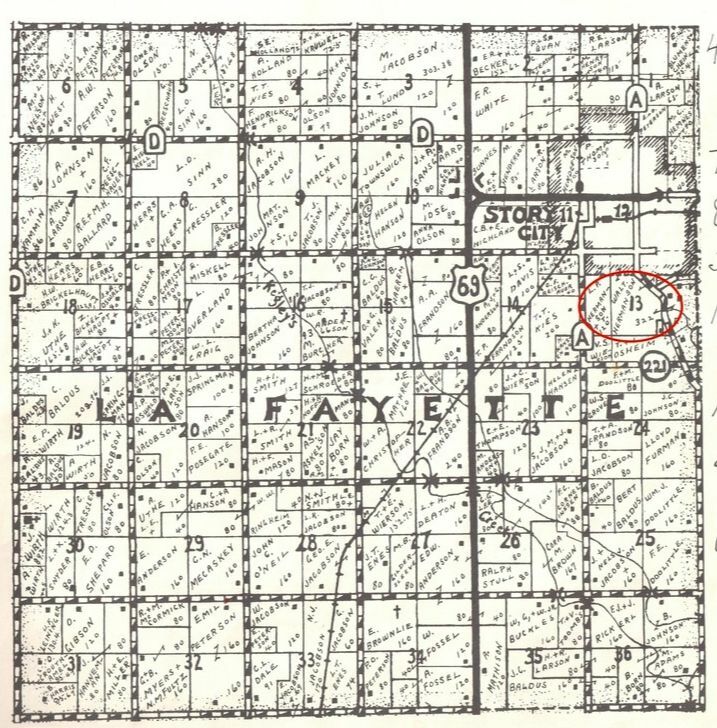 On June 3rd of that same year, Peter purchased 82 acres of land just south of Story City. It is said by descendants that the money used to purchase the $2,000 worth of farmland came from his wife Bodil’s inheritance. The land was used to farm grain and livestock and was considered to be rather profitable. To this day, a depression is still visible in the land along the Skunk River where Peter and Bodil’s first home was constructed. ​In the second generation of Iowa Hermansons, Walter Hermanson was the only child to continue on the family farm. He purchased the business from his father and began to expand the business to include hogs alongside grain. Peter Hermanson's business gained the name Woodland Farms as his grandson Leonard expanded the dairy with milk routes to Ames. Leonard chose the word 'Woodland' because the Hermanson property was close to a timber area. By the early 1930's Woodland Farms was a partnership owned collectively between Walter Hermanson and his sons Leonard and Theodore. Over the last 100 years, Peter Andersen's original 82 acres of land has grown exponentially. 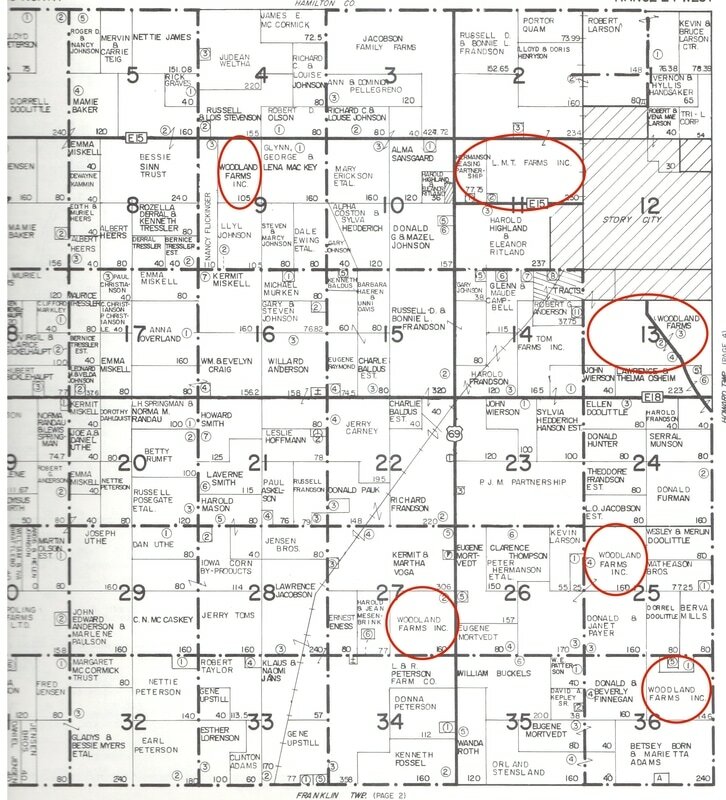 With each generation of Hermansons, Peter's property has grown into what is known today as Woodland Farms Inc. Plat maps of Lafayette township exhibit the expansion and change of the Hermanson property since Peter Anderson first purchased the land. The plat maps also reassure the notion that family surnames were extremely redundant in Story City. 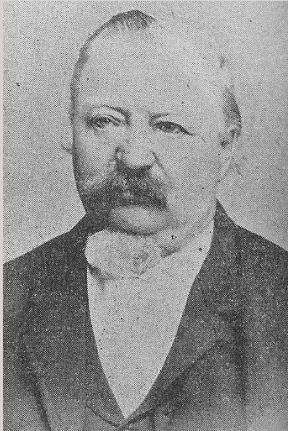 As Peter's last name was changed from Andersen to Hermanson, there are multiple variations of the name Andersen, or names similar to Andersen, listed as landowners. 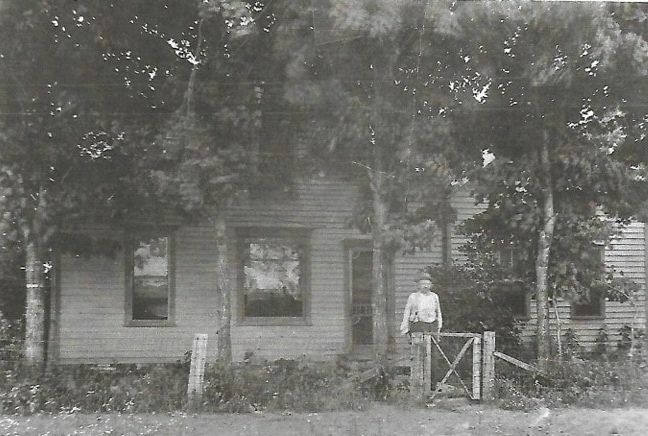 ​​The Hermanson property in 1912 was primarily owned by Peter and Bodil's son Walter Hermanson, who was born on February 14, 1877. 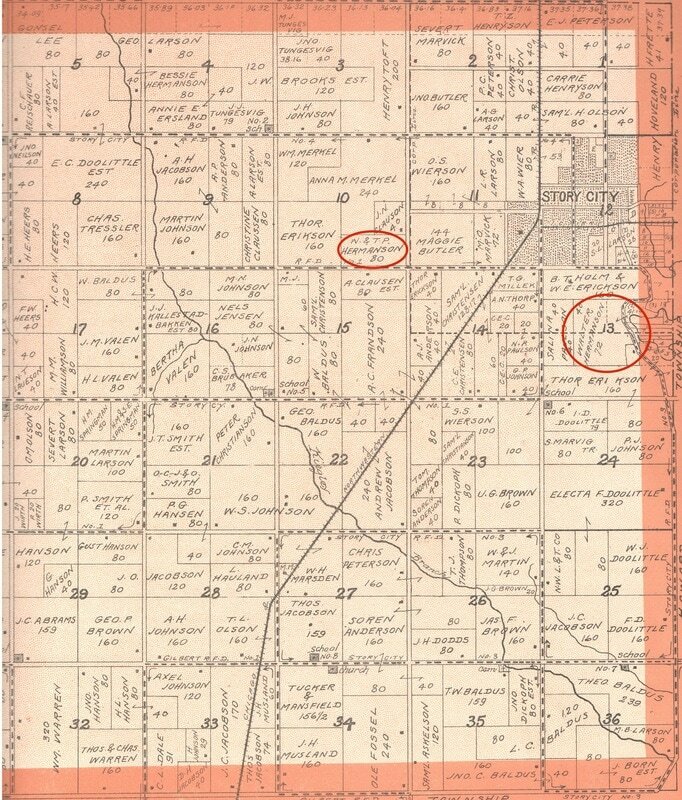 The Hermansons also owned land in the tenth section that belonged to two of Walter's brothers, Nels and Theodore P. Hermanson. 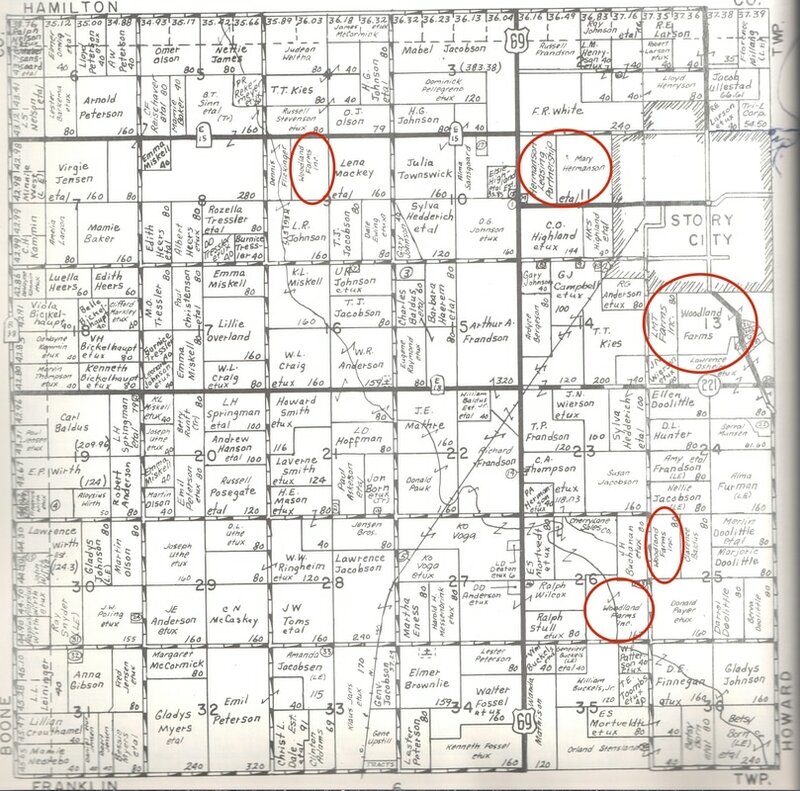 ​By 1953, the Hermanson property was confined to a congruent plot. Still owned by Walter Hermanson, the second plot of land was titled, "L.P. Hermanson + T.". This was named for Leonard Perry Hermanson, and Theodore Hermanson. Expansion of the Hermanson property becomes extremely obvious by 1977, along with a new title. By 1977, the majority of the Hermanson's property has been titled as Woodland Farms. What was once Peder Andersen's modest investment had become a multi-generational corporation. ​By 1985, Woodland Farms Incorporation expanded to six different properties across Story City. Five of the properties had been officially titled, "Woodland Farms Inc." while one property remained with a family name. The property in section eleven was titled, "L.M.T. Farms Inc." which stood for Leonard, Mildred, Mary and Theodore. Leonard and Theodore were two of Walter's sons, and Mildred and Mary were their wives.